If one has to define ‘muscle cars’, the most common one would be mid-size American cars that are rear wheel drive and are powered by V8 engines. In other words, it’s very simply a small car that has a big engine in it. However, one thing is for sure, they were definitely designed for straight line speed alright with anything but the engineering integrity of the-then high-performance European cars. Even till this day, both enthusiasts and experts are divided as to whether pony cars, compacts or even high performance full-sized cars belong to this category. Yet history is very clear about the 1949 Oldsmobile Rocket 88 being the first of its very kind, with the Hudson Hornet being the only mid-sized car that could give it a run for its money when it came to its performance potential. In the 1950s, Chrysler held the title of “America’s Most Powerful Car” with its 1955 C-300, and which was capable of accelerating from zero to sixty miles per hour in 9.8 seconds. With horsepower touching almost 300, it became the new star of NASCAR until the Rambler Rebel took its place. The 1960s saw a surge in muscle car models and with the 1970s seeing cars offering at least horsepower of almost 450 and above. But with this came the decline as the automotive safety lobby made sure that most of these ‘muscle cars’ were out of reach, thanks to the expenses involved in owning one of these “beauties”. 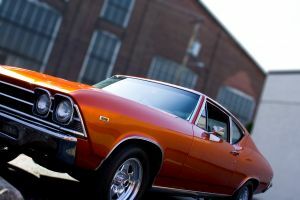 Of course, with the Dodge Challenger, Chevrolet Camaro and Ford Mustang leading the way these days, the power that was the hallmark of muscle cars have now been combined with safety, fuel economy, handling and reliability that was not present in older versions. 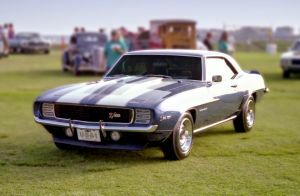 If there’s anything that you understood a muscle car by, it was its performance in terms of speed and power that set it apart from the traditional vehicles that were used. The common denominator between these muscle cars was the powerful V8 engines that it used. If that wasn’t enough, most of these cars also possessed unique features that contributed to their acceleration capability, and with the lightweight body, were the perfect cars for racing. 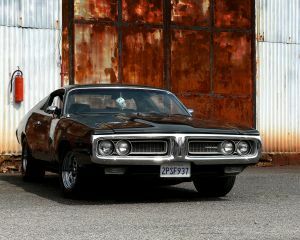 However, the golden age of muscle cars quickly faced a sharp decline after the 1960s and 70s for several reasons. Probable the most obvious of them all was whether it was a good idea to produce such powerful vehicles for the general public, thanks to the number of incidents that showed irresponsibility on the part of these muscle car drivers. Insurance rates hit the roof in insuring these cars, thanks to the aforementioned irresponsible driving, and which was the reason why insurance companies found these vehicles (and their drivers) to be such a liability. These high insurance rates made it very difficult for enthusiasts to be able to own one of these vehicles especially if they weren’t that well off. Another important reason for the decline of the ‘muscle car’ era was due to the efforts of lawmakers to control pollution standards. Unfortunately, the cars and their manufacturers could not meet with such high emission control standards and with the high insurance rates, these two factors led to the decline of the ‘muscle car’ era altogether. Of course, you can find auto manufacturers attempting to bring this era back but most of their models give enthusiasts enough and more reasons to reminisce about the classic cars of the 60s and 70s.